Located between Franklin County Public Library and Union Bank around the corner from the Harvester. We will make a meaningful difference in the lives of our customers, our team, and the residents of Roanoke, VA and the Franklin County, VA area including Rocky Mount, Boones Mill, and Smith Mountain Lake. 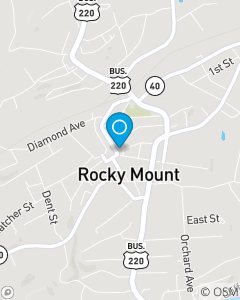 We will offer knowledgeable Auto Insurance, Home Insurance, Renters Insurance, Life Insurance and Business Insurance quotes in Rocky Mount, VA and Franklin County, VA. We offer Financial Services and we help with Retirement Planning.